Reading season for teachers is typically during the summer, also known as the only time when teachers have the time and energy to sit down after work without falling asleep. But I've rearranged my daily routine and have managed to squeeze more rest time into my evenings. It means going to bed an hour earlier (like when some of the kids I teach are going to bed), but it's allowed me to curl up with a book and get some peace and quiet before I fall asleep. It also means I get to read a few pages without having a book land on my face as I drift off. I keep all of my to-read books on my desk as a reminder of all of how important reading is to me. I get to look at the growing (then shrinking, then growing again) stack each night before I go to bed and love seeing how much each book has in common with the next. Apparently, my book reads reflect my seasons of life! UNINVITED. Oh, this book wrecked me--but in a beautiful way. 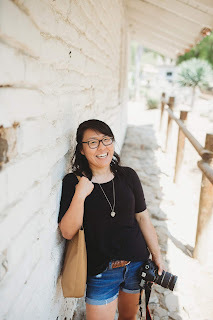 The truths that Lysa writes, the stories she shares, the stories from the Bible that she connects us to--they're the words I needed to read and wrestle with this year. I thought this book was going to be all about loneliness and rejection, but it's so, so, so much more than that. WILD AND FREE. I was a little hesitant of this book as well--I guess I tend to be a little wary of books that go viral, so to speak. But this one went viral for a reason, my friends. And it helped me discover my braver self, too. PRESENT OVER PERFECT. Shauna is and will always be my favorite writer and this book came with perfect timing. God's been speaking a lot of truth over my desire for perfection and lack of rest in my life lately and I've been learning to abandon my desire to hustle so I can learn to rest and rely on Him instead. This book affirmed all of these truths and more. I also have to add in that reading this alongside Shauna's devotional, Savor, has been a great pairing, too! CHASING SLOW. This book was just recently released and it's now at the top of my to-read list for 2017. Erin's blog is one of my favorites and I cannot wait to read what she'll share in her book (the title alone is a winner!). Also on my to-read list? She Reads Truth, Breaking Busy (started but never finished this one), Unglued, Domino, The Magnolia Story, If You Find This Letter, and New Morning Mercies. What's on your to-read list? Do you have any recommendations for me to add to my stack of books?